Lady Marry is an extraordinary WordPress theme for representing a creative part of your life in the most astonishing manner. 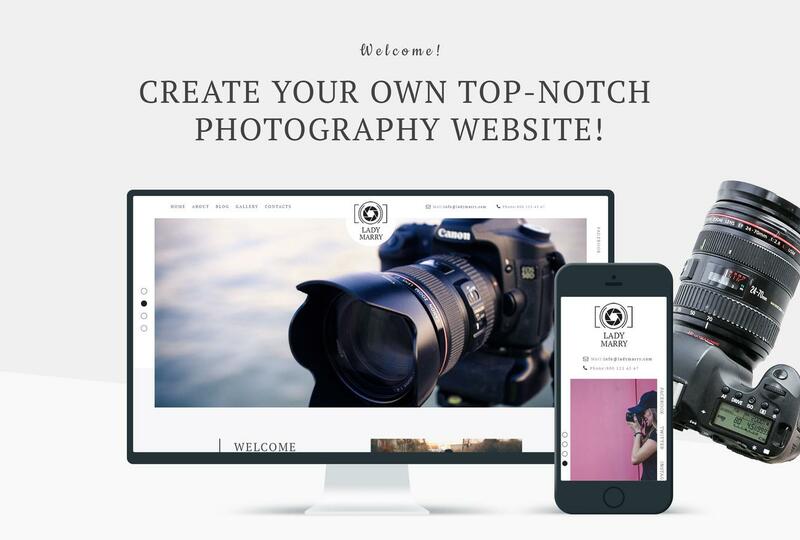 Your website will become more stylish and memorable with Photography theme. 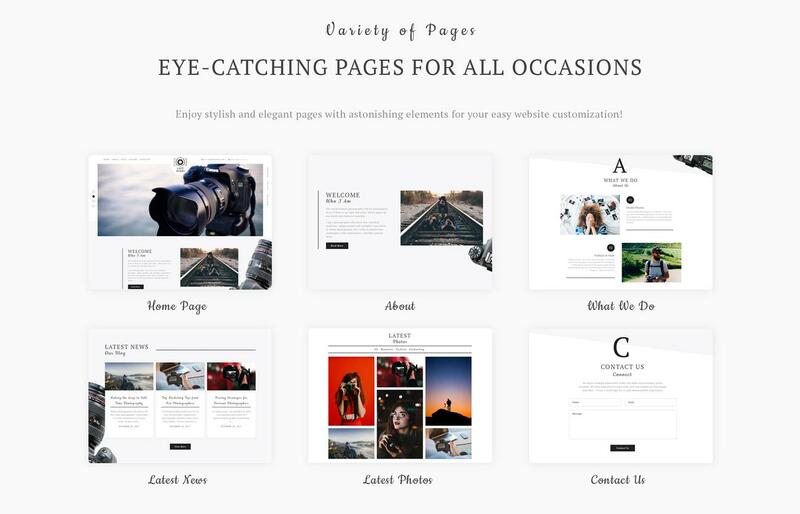 You will showcase your services, portfolio with eye-catching images, relevant blog posts and much more with a fully responsive Lady Marry theme. 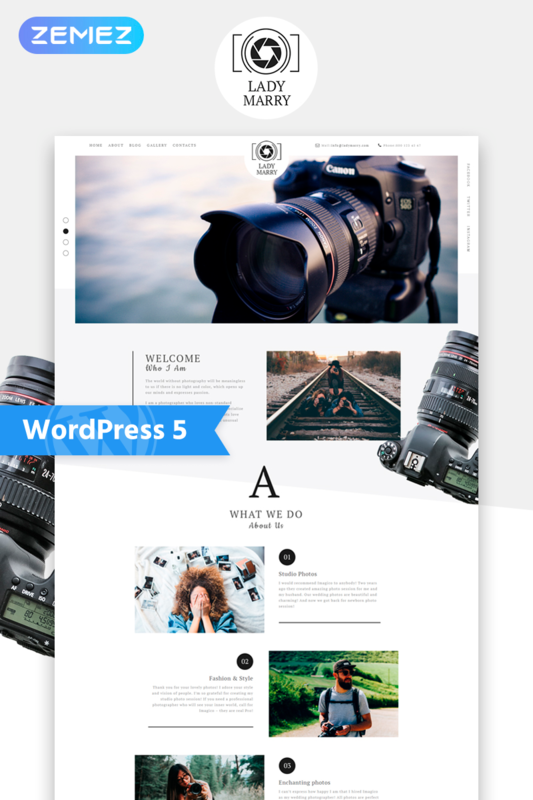 The visitors will enjoy spending their time on your website thanks to a beautiful design of the theme. You will customize your site's pages according to your needs and taste using the theme’s functionality. You will add attractive and useful elements and apply different style settings to them without any coding knowledge using JetElements plugin for Elementor page builder. You will add a contact form on your website that the customers will be able to contact you quickly and easily using Contact Form 7 plugin. Your client base will increase and you will attract more people, who will like your photographic style with Lady Marry Ready-to-use Creative theme!